Powered by Huawei hospitality solutions, an end-to-end ICT platform delivers the fast and reliable Wi-Fi in great demand by today’s traveller. Enterprise Systems deployed Huawei’s solutions including the network infrastructure (switches, routers, WLAN and servers). Jannah Place Dubai Marina opened to the public in November 2014, offering 133 stylish rooms with free Wi-Fi connectivity throughout the hotel. 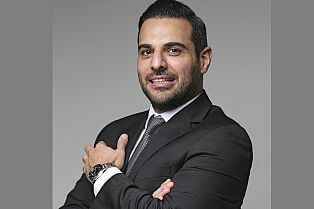 For its third hotel in UAE, Jannah Hotels & Resorts opted for cutting-edge IT connectivity services as part of Dubai’s wider commitment to Smart City developments and ahead of the anticipated rush for Expo 2020. Thanks to Enterprise Systems, Huawei and Ibtekkar, Jannah Place Marina Hotel is able to offer its guests a speedy 50MB hotel internet access using their own devices across all areas of the resort including all rooms and public areas from the lobby, the pool to restaurants. Enterprise Systems is a leading Huawei distributor and a key driver for Huawei to deliver its solutions in the region. It delivers integrated solutions for the design, upgrade, and expansion of business networks, among them the hospitality industry, one of the most important economic sectors in the region. “Enterprise systems has a clear focus on the hospitality sector,” says Pouya Parsafar, Managing Director, Enterprise Systems. “With successful implementation of multiple solutions for the top brands within the region on behalf of the System Integrators, we will continue to increase and improve our technical capability to further support our partners’ efforts to secure new business in the region”. Hospitality industry competition is fierce and reliable access to wireless connectivity has become a crucial consideration for guests as they make their bookings. With this deployment, guests at Jannah Place Dubai Marina will be able to easily connect to the hotel network and use their own devices to access hotel services: from ordering room service and contacting reception to arranging wakeup calls and managing their business conference agendas. Jannah staff members will also reap the benefits as they access hotel services on-the-go, use mobile devices to monitor check-ins, handle customer queries and respond swiftly to guest comments. Jannah Hotels & Resorts will also be able to easily scale up its IT operations to manage expected hotel guest influx at peak periods during the year. By deploying the latest solutions in Wi-Fi and unified communications, Jannah Hotels & Resorts aims to satisfy the demands of increasingly tech-savvy guests who typically require high-speed connectivity for business and entertainment applications. Many hotel wireless networks can be designed in a way to deliver higher expected service levels, such as offering optimised network designs in order to strengthen signals as well as making operations and maintenance more manageable; professional WLAN planning with choosing right access point models to allow consistent high signal strength and seamless coverage in all places; Integrating the wireless network with existing wired network to extend security policies and supporting quality of service. In order to meet the expectations of today’s hotel guests, the Huawei hotel wireless network solution ensures that devices such as tablets and smartphones can access the Internet in every area of the hotel, from guest rooms and meeting rooms to dining rooms, gardens, and the swimming pool area.